Full title: Using hypnosis to disrupt face processing: mirrored-self misidentification delusion and different visual media. Mirrored-self misidentification delusion is the belief that one's reflection in the mirror is not oneself. This experiment used hypnotic suggestion to impair normal face processing in healthy participants and recreate key aspects of the delusion in the laboratory. From a pool of 439 participants, 22 high hypnotisable participants ("highs") and 20 low hypnotisable participants were selected on the basis of their extreme scores on two separately administered measures of hypnotisability. These participants received a hypnotic induction and a suggestion for either impaired (i) self-face recognition or (ii) impaired recognition of all faces. Participants were tested on their ability to recognize themselves in a mirror and other visual media - including a photograph, live video, and handheld mirror - and their ability to recognize other people, including the experimenter and famous faces. Both suggestions produced impaired self-face recognition and recreated key aspects of the delusion in highs. However, only the suggestion for impaired other-face recognition disrupted recognition of other faces, albeit in a minority of highs. The findings confirm that hypnotic suggestion can disrupt face processing and recreate features of mirrored-self misidentification. The variability seen in participants' responses also corresponds to the heterogeneity seen in clinical patients. An important direction for future research will be to examine sources of this variability within both clinical patients and the hypnotic model. Front Hum Neurosci. 2014 Jun 18;8:361. doi: 10.3389/fnhum.2014.00361. eCollection 2014. Connors MH(1), Barnier AJ(2), Coltheart M(2), Langdon R(2), Cox RE(2), Rivolta D(3), Halligan PW(4). Author information: (1)ARC Centre of Excellence in Cognition and its Disorders Sydney, NSW, Australia; Department of Cognitive Science, Macquarie University Sydney, NSW, Australia; Dementia Collaborative Research Centre, School of Psychiatry, University of New South Wales Sydney, NSW, Australia. (2)ARC Centre of Excellence in Cognition and its Disorders Sydney, NSW, Australia; Department of Cognitive Science, Macquarie University Sydney, NSW, Australia. (3)School of Psychology, University of East London London, UK ; Department of Neurophysiology, Max Planck Institute for Brain Research Frankfurt am Main, Germany ; Ernst Strüngmann Institute for Neuroscience in Cooperation with Max Planck Society Frankfurt am Main, Germany. (4)ARC Centre of Excellence in Cognition and its Disorders Sydney, NSW, Australia; School of Psychology, Cardiff University Cardiff, UK. The Validity of Eyewitness Accounts: What you see is what you think! Eyewitness testimony is far from being full-proof. Despite the assumption that witnesses under oath are honest, sincere, and credible and that they claim that their memories are clear and accurate, there may be sufficient discrepancies. Witnesses may remember accurately, but misremember what they originally perceived. The rise and fall of forensic hypnosis. This paper examines the fortunes of the controversial use of hypnosis to 'enhance' autobiographical memories in postwar America. 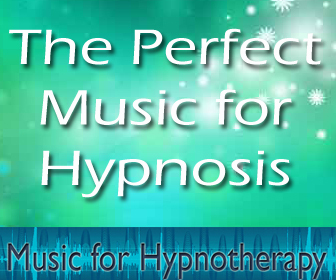 From the 1950s through the early 1980s, hypnosis became increasingly popular as a means to exhume information thought to be buried within the mind. This practice was encouraged by lay understandings of memory drawn from a material culture full of new recording devices (motion pictures, tape and then video recorders); and during the years when the practice was becoming most popular and accepted, academic psychologists developed a contrary, reconstructive, account of memory that was put to use in a series of battles meant to put an end to hypnotic recall. But popular commitment to the idea of permanent memory 'recordings' sustained the practice and the assumptions about memory and self that were associated with it, and in the face of a culture of academic psychology fully committed to the idea of 'reconstructive', malleable memory, a tidal wave of 'enhanced' memories swept America in the late 1980s and 1990s, in the so-called 'memory wars'. These, in turn, provoked academic psychologists to research the claims and counter claims central to the memory wars. The paper will also make an argument about the importance of lay knowledge in the psychological sciences explored in this paper: that popular psychological beliefs played a significant, even formative role in defining the nature of forensic psychological expertise, and also the framing of elite academic psychological research. Stud Hist Philos Biol Biomed Sci. 2012 Nov 8. pii: S1369-8486(12)00105-7. doi: 10.1016/j.shpsc.2012.09.011. Winter A. Department of History, The University of Chicago, 1126 E. 59th Street, Chicago, IL 60637, USA. Electronic address: awinter@midway.uchicago.edu. Hypnotic interviewing: the best way to interview eyewitnesses? It has been suggested that hypnosis techniques may have the potential to enhance eyewitness memory in forensic investigations. However, laboratory research shows that increases in recall with hypnosis techniques are often associated with decreases in accuracy, false confidence in incorrect information, and increased suggestibility to leading questions and misleading post-event information. These problems limit the usefulness of hypnosis as an interviewing procedure. However, in practical investigations, many factors associated with hypnosis, apart from the hypnotic induction itself, might lead to memory enhancement compared with standard police interviews. For example, hypnotic interviewers, because of their psychological, clinical, and interpersonal skills, may be better interviewers than police officers. They may use effective interviewing strategies such as those associated with the "cognitive interview"; a procedure which has the potential to enhance recall by approximately 35% without the problems of memory distortion associated with hypnosis. It is concluded, therefore, that a cognitive interview procedure should be used in preference to hypnosis. Behav Sci Law. 1998 Winter;16(1):115-29. Kebbell MR, Wagstaff GF. Department of Psychology, University of Liverpool, U.K.
A comparison of memory for homicide, non-homicidal violence, and positive life experiences. Defendants commonly claim amnesia for their criminal actions especially in cases involving extreme violence. While some claims are malingered or result from physiological factors, other cases may represent genuine partial or complete amnesia resulting from the psychological distress and/or extreme emotion associated with the perpetration of the crime. Fifty Canadian homicide offenders described their memories of their homicide, a non-homicide violent offense, and their most positive adulthood life experience. Self-reported and objective measures of memories for these events revealed that homicides were recalled with the greatest level of detail and sensory information. Although dissociative tendencies were associated with a self-reported memory loss, objective measures of memory quality did not reflect this perceived impairment, suggesting a failure of meta-memory. Recollections of positive life events were superior to those of non-homicidal violence, possibly due to greater impact and meaning attached to such experiences. Findings suggest that memory for homicide typically is enhanced by the powerful emotion associated with its perpetration. Following a brief review of the literature on hypnosis and memory, this paper overviews the procedures that are used in conducting forensic hypnosis interviews. Ten forensic hypnosis cases are then described. These real world cases are in stark contrast to research done in an artificial laboratory setting where the information to be recalled lacks personal relevance and was not associated with emotionally arousing situations. These cases illustrate how forensic hypnosis can result in obtaining important additional investigative leads which lead to the solving of crimes. Use of complementary and alternative medicine at Norwegian and Danish hospitals. BACKGROUND: Several studies have found that a high proportion of the population in western countries use complementary and alternative medicine (CAM). However, little is known about whether CAM is offered in hospitals. The aim of this study was to describe to what extent CAM is offered in Norwegian and Danish hospitals and investigate possible changes in Norway since 2001. METHODS: A one-page questionnaire was sent to all included hospitals in both countries. The questionnaire was sent to the person responsible for the clinical activity, typically the medical director. 99 hospitals in the authority (85%) in Norway and 126 in Denmark (97%) responded. Given contact persons were interviewed. RESULTS: CAM is presently offered in about 50% of Norwegian hospitals and one-third of Danish hospitals. In Norway CAM was offered in 50 hospitals, 40 of which involved acupuncture. 19 hospitals gave other alternative therapies like biofeedback, hypnosis, cupping, ear-acupuncture, herbal medicine, art therapy, homeopathy, reflexology, thought field therapy, gestalt therapy, aromatherapy, tai chi, acupressure, yoga, pilates and other. 9 hospitals offered more than one therapy form. In Denmark 38 hospitals offered acupuncture and one Eye Movement Desensitization and Reprocessing Light Therapy. The most commonly reported reason for offering CAM was scientific evidence in Denmark. In Norway it was the interest of a hospital employee, except for acupuncture where the introduction is more often initiated by the leadership and is more based on scientific evidence of effect. All persons (except one) responsible for the alternative treatment had a medical or allied health professional background and their education/training in CAM treatment varied substantially. CONCLUSIONS: The extent of CAM being offered has increased substantially in Norway during the first decade of the 21(st) century. This might indicate a shift in attitude regarding CAM within the conventional health care system. Emotional Freedom Techniques (or EFT) is a revolutionary new healing aid being used worldwide by those in the healing professions and because of it's simplistic and complementary nature has become an excellent addition to the coaching tool box. EFT is a psychological form of acupuncture, but without the needles. Instead, you stimulate well established energy meridian points on your body by tapping on them with your fingertips whilst repeating specific statements. The process is easy to memorize and is portable so you can do it anywhere. Eyewitness identification evidence and innocence risk. It is well known that the frailties of human memory and vulnerability to suggestion lead to eyewitness identification errors. However, variations in different aspects of the eyewitnessing conditions produce different kinds of errors that are related to wrongful convictions in very different ways. We present a review of the eyewitness identification literature, organized around underlying cognitive mechanisms, memory, similarity, and decision processes, assessing the effects on both correct and mistaken identification. In addition, we calculate a conditional probability we call innocence risk, which is the probability that the suspect is innocent, given that the suspect was identified. Assessment of innocence risk is critical to the theoretical development of eyewitness identification research, as well as to legal decision making and policy evaluation. Our review shows a complex relationship between misidentification and innocence risk, sheds light on some areas of controversy, and suggests that some issues thought to be resolved are in need of additional research. Inventing stories: forcing witnesses to fabricate entire fictitious events. Studies of the forced fabrication effect have shown that participant witnesses are prone to developing false memories for specific items or details that they have been forced to fabricate earlier (e.g., what type of hat someone wore). Building on these earlier findings, the present study assessed whether participants would develop false memories if forced to fabricate entire fictitious events that were more complex and extended in time and involved people, locations, and actions that they had never seen. Participants vehemently resisted fabricating these events, and false memory development over the short term (1-week recognition test) was limited. However, after 8 weeks, participants freely reported their forced fabrications nearly 50% of the time and did so even when they had correctly and publicly rejected them earlier on the 1-week recognition test. This is the first evidence that participant witnesses will freely incorporate into their eyewitness accounts entire fictitious events that they have earlier been forced to fabricate. The co-witness misinformation effect: memory blends or memory compliance? For 30 years hundreds of researchers have shown participants videos and slide-sequences of events, presented the participants with misleading information, and found that this misinformation distorted their memories. The purpose of this study was to establish whether those misled participants are reporting a memory blend of the two sources of information or whether they are simply complying with the post-event information. A total of 92 participants were shown one of two versions of six different videos, which included some subtle differences. After having watched each video individually, participants were paired with someone who had seen the other version and they discussed the clips together. They then individually answered questions about the videos, and their responses showed that some of the distorted memories were blends of the original information and the post-event information. The implications of these findings are discussed. Biased lineup instructions and face identification from video images. Previous eyewitness memory research has shown that biased lineup instructions reduce identification accuracy, primarily by increasing false-positive identifications in target-absent lineups. Because some attempts at identification do not rely on a witness's memory of the perpetrator but instead involve matching photos to images on surveillance video, the authors investigated the effects of biased instructions on identification accuracy in a matching task. In Experiment 1, biased instructions did not affect the overall accuracy of participants who used video images as an identification aid, but nearly all correct decisions occurred with target-present photo spreads. Both biased and unbiased instructions resulted in high false-positive rates. In Experiment 2, which focused on video-photo matching accuracy with target-absent photo spreads, unbiased instructions led to more correct responses (i.e., fewer false positives). These findings suggest that investigators should not relax precautions against biased instructions when people attempt to match photos to an unfamiliar person recorded on video. Stereotypes influence false memories for imagined events. Two experiments tested the influences of vivid imagery and person schemata on eyewitness accuracy. Participants watched an event sequence including actors performing stereotype-consistent and inconsistent actions. Additionally, participants either read descriptions of actions (Experiment 1) or vividly imagined actions (Experiment 2). After either 30 minutes or 2 days, recognition memory, source memory, and remember/know judgements were made. After 2 days, false alarms to imagined events increased, relative to the 30-minute test; those false alarms were more often misattributed to stereotype-consistent actors, relative to the same actions in the reading condition. In addition, the accompanying remember judgements were higher for false alarms to imagined events, relative to read events, regardless of stereotype consistency. Overall the results suggest that, over time, vivid imagery reinforces schema activation, increasing stereotype-consistent false memories. Interrogative suggestibility, compliance and false confessions among prisoners. BACKGROUND: Interrogative suggestibility and compliance are important psychological vulnerabilities during interrogation. The aim of the study was to investigate the relationship of suggestibility and compliance with childhood and current symptoms of attention deficit hyperactivity disorder (ADHD). Compliance has not been studied previously in relation to ADHD. A further aim was to investigate the relationship between ADHD and the reporting of having made a false confession to the police. METHOD: The participants were 90 male prisoners, all of whom had completed the Gudjonsson Suggestibility and Compliance Scales (GSS and GCS) within 10 days of admission to the prison. Childhood ADHD symptoms were screened by the Wender Utah Rating Scale (WURS) and current adult symptoms by the DSM-IV Checklist criteria for ADHD. RESULTS: Half of the prisoners (50%) were found on screening to meet criteria for ADHD in childhood and, of those, over half (60%) were either fully symptomatic or in partial remission of their symptoms. ADHD symptoms were found to be significantly associated with compliance, but not with suggestibility. The relationship with compliance was stronger (effect size) in relation to current than childhood symptoms. The ADHD symptomatic groups were significantly more likely to claim that they had made a false confession to the police in the past. CONCLUSIONS: The findings raise important questions about the potential vulnerability of adults with ADHD symptoms in terms of their ability to cope with interrogation. Are memories ever accurate? If not, does this mean that our legal system can never rely upon eye witness testimony? This is a very important question as many convictions and even capital punishments have been meted out based upon such. All sensory observations are filtered through our brain maps, which develop rapidly during the first year and a half and the first six years of life and steadily for the rest of life. As only 20% of our sight actually an ocular function, what we see is basically a matter of past experiences. This means that each and everyone of us is actually living in some type of "parallel universe". Okay. So this means that two eye witnesses will actually "see" two different accounts of the same event. Furthermore, if what we believe that we "see" is contrary to habituated memories then our experience may have absolutely nothing to do with reality. Magicians call this an illusion. THEREFORE, I pray that I never have to take my chances in a court of law. The International Hypnosis Research Institute is a member supported project involving integrative health care specialists from around the world. We provide information and educational resources to clinicians. 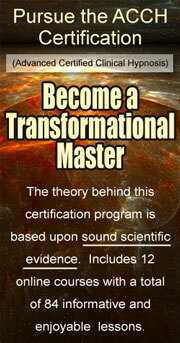 Dr. Brunson is the author of over 150 self-help and clinical CD's and MP3's. The effect of question format on resistance to misleading postevent information and self-reports. Participants were administered a standard tape-recorded version of the Harvard Group Scale of Hypnotic Susceptibility, Form A (HGSHS:A) and then a modified version of the HGSHS:A response booklet that asked each participant to report which suggested behaviors they performed during the procedures. These response booklets were altered to include 3 additional suggestions not offered during the hypnotic procedures. Half the participants were administered the questions in the response booklet in the standard format ("I performed the suggested behavior" versus "I did not perform the suggested behavior"). The remaining participants were offered a third alternative to each question ("I do not remember this occurring"). As predicted, participants offered the 3rd alternative were significantly less likely to report performing actions that were never suggested during the procedures. Further, these participants reported performing fewer suggested behaviors (i.e., reported passing fewer of the true Harvard items) than participants in the standard 2-alternative condition. Int J Clin Exp Hypn. 2008 Apr;56(2):198-213. Eisen ML, Oustinovskaya M, Kistorian R, Morgan DY, Mickes L. California State University, Los Angeles, California, USA. Eye-witness memory and suggestibility in children with Asperger syndrome. Individuals with autism spectrum disorders (ASD) present with a particular profile of memory deficits, executive dysfunction and impaired social interaction that may raise concerns about their recall and reliability in forensic and legal contexts. Extant studies of memory shed limited light on this issue as they involved either laboratory-based tasks or protocols that varied between participants. METHOD: The current study used a live classroom event to investigate eye-witness recall and suggestibility in children with Asperger syndrome (AS group; N = 24) and typically developing children (TD group; N = 27). All participants were aged between 11 and 14 years and were interviewed using a structured protocol. Two measures of executive functioning were also administered. RESULTS: The AS group were found to be no more suggestible and no less accurate than their peers. However, free recall elicited less information, including gist, in the AS group. TD, but not AS, participants tended to focus on the socially salient aspects of the scene in their free recall. Both general and specific questioning elicited similar numbers of new details in both groups. Significant correlations were found between memory recall and executive functioning performance in the AS group only. CONCLUSIONS: The present study indicates that children with AS can act as reliable witnesses but they may be more reliant on questioning to facilitate recall. Our findings also provide evidence for poor gist memory. It is speculated that such differences stem from weak central coherence and lead to a reliance on generic cognitive processes, such as executive functions, during recall. Future studies are required to investigate possible differences in compliance, rates of forgetting and false memory. Interrogative pressure in simulated forensic interviews: the effects of negative feedback. Much experimental research on interrogative pressure has concentrated on the effects of leading questions, and the role of feedback in influencing responses in the absence of leading questions has been neglected by comparison. This study assessed the effect of negative feedback and the presence of a second interviewer on interviewee responding in simulated forensic interviews. Participants viewed a videotape of a crime, answered questions about the clip and were requestioned after receiving feedback. Compared with neutral feedback, negative feedback resulted in more response changes, higher reported state anxiety and higher ratings of interview difficulty. These results are consistent with Gudjonsson and Clark's (1986) model of interrogative suggestibility. The presence and involvement of a second interviewer did not significantly affect interviewee responding, although trait anxiety scores were elevated when a second interviewer was present. The theoretical and applied implications of these findings are considered. A little elaboration goes a long way: the role of generation in eyewitness suggestibility. Although research has documented that perceptual elaboration (e.g., imagery) can increase false memory, prior research has not ascertained whether such effects are due to the act of generation or simply from exposure to perceptual details. Two experiments explored this question using the eyewitness suggestibility paradigm. Experiment 1 compared the effect of generating descriptions of suggested items with the effects of reading elaborated versions of the items or the suggested items alone. Experiment 2 compared participants who generated descriptions to participants who read the same descriptions. Generating a description increased false memory and increased accurate memory for the items' actual source, relative to comparable control conditions. Generation also increased claims of having a (false) vivid recollection of the items in the event. Overall, the results suggest that conditions that require people to describe the appearance of objects that they do not remember are even more pernicious than conditions that involve exposure to such details. Cognitive science and the law. Numerous innocent people have been sent to jail based directly or indirectly on normal, but flawed, human perception, memory and decision making. Current cognitive-science research addresses the issues that are directly relevant to the connection between normal cognitive functioning and such judicial errors, and suggests means by which the false-conviction rate could be reduced. Here, we illustrate how this can be achieved by reviewing recent work in two related areas: eyewitness testimony and fingerprint analysis. We articulate problems in these areas with reference to specific legal cases and demonstrate how recent findings can be used to address them. We also discuss how researchers can translate their conclusions into language and ideas that can influence and improve the legal system. Double jeopardy in the interrogation room for youths with mental illness. Comments on the article by J. Owen-Kostelnik, N. D. Reppucci, and J. R. Meyer which reviewed the issues surrounding the police interrogation of minors. This commentary expands on the review by addressing the mental health status of youths who come into contact with police. It stems from two immutable facts: (a) The prevalence of mental illness among justice-involved youths is alarmingly high, and (b) mental illness by itself is a risk factor for false confession. These two facts place suspected youths in double jeopardy in the interrogation room. How Can We Help Witnesses to Remember More? It's an (Eyes) Open and Shut Case. Five experiments tested the idea that instructing a witness to close their eyes during retrieval might increase retrieval success. In Experiment 1 participants watched a video, before a cued-recall test for which they were either instructed to close their eyes, or received no-instructions. Eye-closure led to an increase in correct cued-recall, with no increase in incorrect responses. Experiments 2-5 sought to test the generality of this effect over variations in study material (video or live interaction), test format (cued- or free-recall) and information modality (visual or auditory details recalled). Overall, eye-closure increased recall of both visual detail and auditory details, with no accompanying increase in recall of false details. Collectively, these data convincingly demonstrate the benefits of eye-closure as an aid to retrieval, and offer insight into why hypnosis, which usually involves eye-closure, may facilitate eyewitness recall. Law Hum Behav. 2007 Sep 25 Perfect TJ, Wagstaff GF, Moore D, Andrews B, Cleveland V, Newcombe S, Brisbane KA, Brown L. School of Psychology, University of Plymouth, Drake Circus, Plymouth, PL4 8AA, UK, tperfect@plymouth.ac.uk. • What is Forensic Hypnosis? Forensic Hypnosis means to investigate with Hypnosis as the main tool. Hypnosis may be defined as: a state of increased receptivity to suggestion characterized by an altered state of consciousness. The degree varies from very light to very deep and usually will include relaxation and increased awareness. "Hypnosis" denotes either specific phenomena (altered volition, perception, cognition, and recall) or interpersonal transactions that often elicit them. Basic research leads to paradox: hypnosis is validated, and shown to be dissociative in essence, at the same time that neither its phenomena nor transactions can be separated from those of everyday living without logical absurdity. This paradox can be resolved by assuming that consciousness and volition are complex, occurring simultaneously at many levels in the same waking individual. The cognitive interview: does it successfully avoid the dangers of forensic hypnosis? Seventy-two undergraduates viewed a videotape of a bank robbery that culminated in the shooting of a young boy. Several days later, participants were interviewed about their recollection of events in the film through baseline oral and written narrative accounts followed by random assignment to a hypnosis (HYP) condition, the cognitive interview (CI), or a motivated, repeated recall (MRR) control interview. Participants (6- and 7-year-olds, N=130) participated in classroom activities four times. Children were interviewed about the final occurrence (target event) either 1 week or 4 weeks later, during which half of the event items were described inaccurately. Half of these suggestions were consistent with the theme of the detail across the occurrences (e.g., always sat on a kind of floor mat) or were inconsistent (e.g., sat on a chair). When memory for the target event was tested 1 day later, children falsely recognized fewer inconsistent suggestions than consistent suggestions, especially compared with a control group of children who experienced the event just one time. Furthermore, the longer delay reduced accuracy only for consistent suggestions. Source-monitoring ability was strongly and positively related to resistance to suggestions, and encouraging children to identify the source of false suggestions allowed them to retract a significant proportion of their reports of inconsistent suggestions but not of consistent suggestions. The results suggest that the gist consistency of suggestions determines whether event repetition increases or decreases suggestibility. Research into the effect of interviewing techniques has been predominantly within the paradigm of eyewitness testimony. This review focuses on the issues of questioning and examines whether children's responses are affected by questioning techniques, and whether these effects are generic to all interviewing contexts. METHODS: Systematic literature searches were used to identify areas of concern and current findings in research on interviewing young children (aged 4-12). RESULTS: The style and wording of questioning can affect children's responses and accuracy positively and negatively. These effects were especially apparent in interviews with the youngest children. CONCLUSIONS: The implications of these findings are relevant in all contexts where an adult questions a child. It has been demonstrated that interviewing techniques can affect responses from children and that it is therefore imperative that interviewers are aware of, understand and control their influence in order to elicit complete, accurate and reliable information from the child.